My Mother Lied to Me – Find You in the Sun – A daughter's slow waltz with her mother's dementia. I sat at breakfast with Mom and wondered. How many more times did she lie to me? There was the “men won’t like you if you are a tomboy” statement. “Eating grapefruit will make you skinny”. And then the one about the eggs. When I was younger, I experienced fainting and dizziness spells. This was during my years on the track team, during my adolescent years of periods, all throughout high school, really. There were many factors that could have led to my lightheadedness. Despite my protests and disdain for anything medical, Mom took me to the doctor. The doctor performed several tests and I was diagnosed with an iron deficiency. I was anemic. The fix? Iron pills only horses could swallow. And more iron in my diet wherever I could find it, oatmeal, eggs, spinach. The perfect meal plan for a teenager. On Sunday mornings after church, my mother fixed her famous Sunday breakfasts. The meal entailed layers of bacon, sometimes Canadian, a few sausage links or if Dad had his way, the real Italian ones. Pancakes or waffles. Fruit. And eggs. Always eggs. Mostly, we asked for sunny side-up eggs. We were selfish. No one wanted his or her eggs scrambled, which would involve less work for Mom. And we each had our personal preference for how sunny side-up we wanted. While my siblings had the luxury of dipping their toasted Italian bread in the runny yolk and eating around the whites, I did not. So, I became obsessed with eating the whites. I loved sunny side-up eggs, but had to gag down the slimy whites. I did it because she told me so. Because mother knew best. Years later, my husband made breakfast for me one morning. I retold the story of how I was coerced into eating egg whites to help with my anemia. The whites had more iron in them, I had been counseled. “I didn’t know that,” he responded with curiosity. “Well, at least that’s what Mom told me,” I hesitated. In the age of Google, parents are easily be shown the error of their ways. I searched “iron in egg whites” on the Internet before scarfing down the breakfast my husband had fixed. 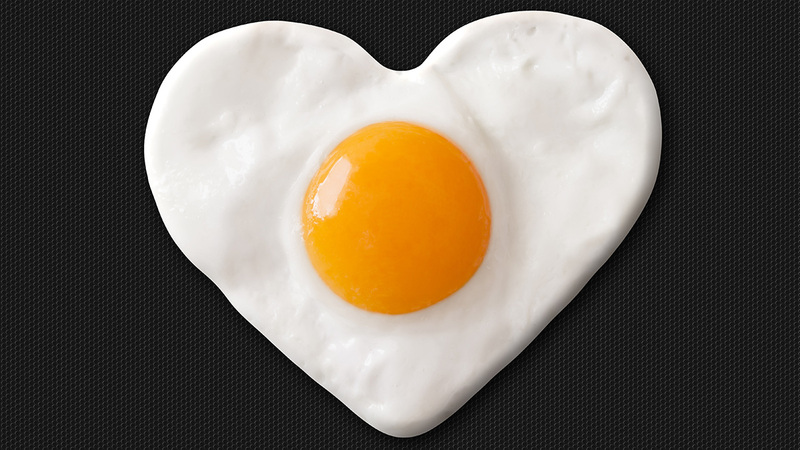 Only a miniscule 3 percent of the iron content in eggs comes from the white part. You’ll get just 0.03 milligram of iron from one large egg white weighing 33 grams. A large 50-gram whole egg on the other hand, provides closer to 0.9 milligram of iron. In essence, as a woman, I would have to eat 8 eggs to get most of my iron for a day. Had I only eaten the whites, I would have to consume 266 egg whites to ensure I received my daily requirement. As an additional point of reference, ½ cup raw spinach contains .4 milligrams, which also translates to 10 cups of spinach a day. “My mother lied to me,” I exclaimed, horrified. “She lied to me,” I said again to my husband, in case he didn’t understand the severity of my revelation. Had I had access to modern science and Internet in my youth, I could have fought back against all the spinach I was forced to consume. I could have just enjoyed my yolk soaked toast. Back to breakfast with Mom. She slurped runny scrambled eggs into her mouth, gnawed at the sausage. She was 88 now, experiencing significant dementia. Ironically, I lied to her all the time. Well, I called it flash fiction or – getting her to do something she really doesn’t want to do. She looked up at me with a casual smile, stuck a forkful of eggs in her mouth. She will take her lies to her grave.